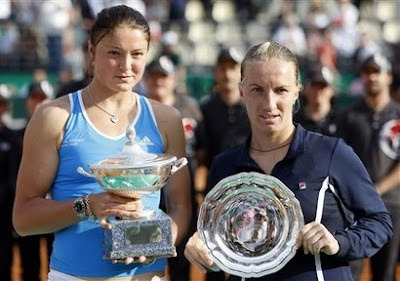 Rome - World no.1 Dinara Safina won her first title of the year Saturday by defeating fellow Russian Svetlana Kuznetsova 6-3, 6-2 in the final of the Italian Open. 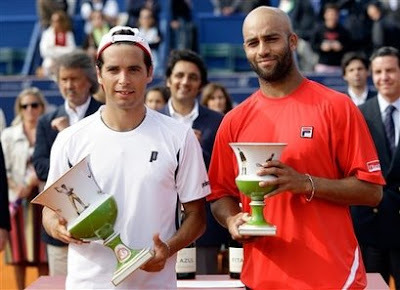 Estoril - Spain’s Albert Montanes battled past American James Blake 5-7, 7-6, 6-0 to win the Estoril Open on Sunday. Meanwhile, in the women's singles, Yanina Wickmayer claimed her first career title with a straight-sets victory over Ekaterina Makarova 7-5, 6-2 to pick up her maiden WTA Tour crown in Portugal. 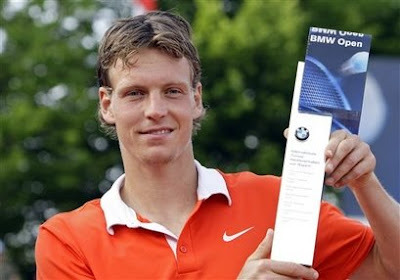 Munich - Tomas Berdych rallied from four points down in the decisive tiebreaker to beat Mikhail Youzhny 6-4, 4-6, 7-6 (5) in the final of the BMW Open Sunday for his first title of the year. 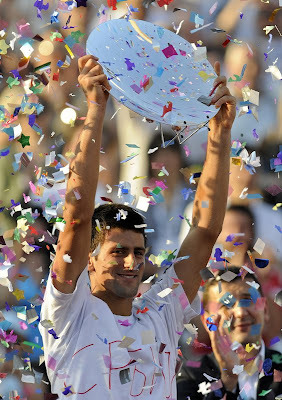 Belgrade - Top-seeded Novak Djokovic beat lucky loser Lukasz Kubot of Poland 6-3, 7-6 (0) in the Serbia Open final to win the first ATP Tour tournament held in his home country.